Alex J. Cavanaugh: Teleportation with Tara Tyler and the Big CassaStorm Announcement! Plus The Conjuring Movie Review and Ninja News. Teleportation with Tara Tyler and the Big CassaStorm Announcement! Plus The Conjuring Movie Review and Ninja News. Please welcome the awesome Tara Tyler as she POPS in for a visit! Alex had a guest a month or two ago who talked about teleportation and cloning. Currently, most physicists believe teleportation will involve destroying particles in one location and duplicating them in another location. That is freaky! Since I am nowhere close to being a physicist, I approached teleportation from another perspective. My theory is more like Wonka-vision. Collect all the particles and send them via a transmission to be received and put back together in another location. (In the book, I get much more technical) Sounds easy, right? In my research, I found articles telling why teleportation is impossible, while others give it a slim chance. In science fiction, we just need that slim chance and plausibility. We don't have to prove anything, we just need to make it sound good, giving enough real information to make it believable. I have no idea how television or air travel work, they just do - doesn't science seem like magic anyway? So let's inspire the technology and scientific communities. They can make our dreams come true! When a crazy client enters J.L. Cooper's small town detective agency, babbling about a pop travel cover up, he takes the case. Cooper never liked pop travel and blames it indirectly for his wife's death. He'd love to expose a glitch in it. Mark Means at Left and Write is this month’s Challenge participant feature! His theme was obscure comic book superheroes – check it out at the A to Z Blog. 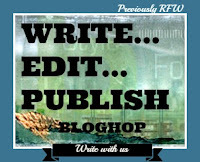 Denise Covey has begun a new permanent monthly bloghop at Write...Edit...Publish to replace RomanticFridayWriters. Post to a monthly theme in any genre - flash fiction, poetry, non-fiction, drama, art or photography - Adult Fiction, YA or MG. Sign up is now open for August - theme - VACATION. Post on Wednesday 21 - Friday 23 August. So here for more info and to sign up. V. Moody at Moody Writing had her very first short story published in Silverthoughs. Congratulations, Moody! Michelle Gregory is still accepting inspirational writing quotes for her IWSG post. My last post was accepted by the science fiction site Suvudu! They’d asked me to join the community, expressing interest in one of my posts, and now they have published three of my posts on their front page. If you’d like to pop over and ‘like’ my post, I’d be happy! The administrators behind the Authors For Oklahoma initiative are extending the deadline to Friday, August 9th, 2013. Make a ten dollar donation to the Red Cross and you get to choose from the books being offered. Check it out. Ella just had an article and photo published in GreenCraft magazine. Congratulations, Ella! Most creative person I know. Heroic Fantasy Quarterly, Issue 17, has just published a story by Charles Gramlich called A Whisper in Ashes. Congratulations, Charles! The next posting for the Insecure Writer’s Support Group is Wednesday! My awesome co-hosts will be M. Pax, Karen Walker, and Melissa Maygrove. Paranormal investigators Ed and Lorraine Warren investigate a terrifying presence haunting the Perron family. Based on a true story. I normally only see movies opening weekend, but after two weeks of great reviews and word of mouth, I decided to check out this film. It’s effectively creepy and doesn’t rely on special effects. It’s a mixture of haunting and demon possession, and neither are done over the top. The acting is good and you can feel the fear of the family, along with the genuine concern of the Warrens. The only downside is this type of film has been done a lot. Best part – SPOILER ALERT – it has a happy ending! Rather than a single day announcement with the same information, this event will be spread out over a week, involve different images and details, and each post will feature a unique interview question. I’ll answer the question and send you information a week prior to release. On September 23, I announce the winner! Have you purchased Pop Travel? Did you follow Mark’s Superhero series last April? Ready to do some reading? Ready for the IWSG? Anyone else see The Conjuring? And can you help me with the release announcement for my last book…? I posted the review for Pop Travel today on my blog. Yay for V. Moody, Charles, Ella, and YOU! You must be pretty excited about releasing the final book in the series:) I'm all signed up. Congrats to Moody on the publication and to you for your Suvudu membership. Loved the article Tara. I know when we watch classic Star Trek now it looks clunky and outdated, but in its day it was cutting edge. We're used to doors automatically opening now, but they didn't do that back in the mid to late 60s. The Star Trek people were actually approached by someone working on the technology to see how they did those turbolift doors (a guy standing out of sight and pulling on a rope). Huntress, that is very cool. Thanks, TF - I am indeed excited. Donna, a guy pulling a rope - funny! Awesome about the Suvudu, and congrats to Ella, and Mark. His A to Z was very entertaining, and of course Tara, her Pop Travel sounds exiting. I'd probably miss a lot more of The Conjuring than your wife did! That is an awesome idea for helping to promote your book! I do have my copy of POP TRAVEL and I loved Mark's A to Z. I was surprised to find superheroes I never heard of. My movie for the weekend was the new Dark Shadows. It wasn't as bad as I thought it'd be. It wasn't tremendously good either! Congratulations on having been picked by Suvudu, and to all the other writers who were recently published. I'd love to teleport, but it's probably true that we won't have the technology for at least another century. I would love to help promote your book Alex, but I will be on vacation on the release date. You can be sure I will obtain the book though. Goodness! A lot of excellent news to catch up on. Congrats to all with books and events. Pop Travel sounds pretty good...teleportation has always intrigued me. And congrats to you Alex, for a great finished trilogy! Congrats to Tara-sounds like my cup of tea! Yes, count me in to promote you-September is going to be a great month! Great lead to Tara, her book sound super.. i am intrigued on the conjuring... the score is awesome and it's part of my prize package for my tour... i am thinking of a good question for your book giveaway. We could sure use teleportation. It would be so much faster. Now to think of a question. Alex, you know I'll always have your back. Re: launch. I'm on the fence about The Conjuring. We can throw up a mention for your release. We'll think of something fun. In the meanwhile, this is why we don't write sci-fi - too much science involved. We much prefer fantasy, because if you want to explain the plausibility of anything, the answer is simple and always the same: "A wizard did it." Christine, it wasn't a good movie. LG, that works just as well. Julie, thanks - you can come up with one later. Tara-- Congratulations on your book! As always, Alex, great updates. Love the cover of your book too. Alex! What a fabulous idea for a book launch! Love the concept behind Tara's book. Congratulations. Think I will try and see The Conjuring! Will see if I can think of a question and pop back. I'm reading Tara's book right now, and it's amazeballs. Love it! And I'm so all over this Cassa party! I'll bring the sherbet floats. There's always mental teleportation to consider. Clifford Simak didn't think we'd ever get to the stars via space ships. No matter how you work it, it just takes too long. His character went from place to place using the brain in more than one of his novels. I have my copy of Pop Travel, just haven't had a chance to read yet. But I'm really excited about it. 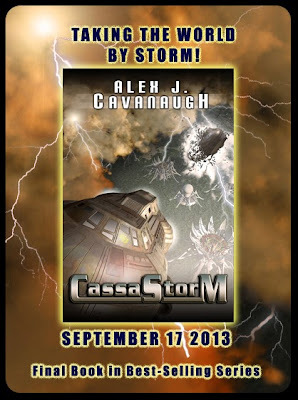 I shared/tweeted your article, Alex, and signed up for CassaStorm! Sounds like you have a great idea for your last book send off. I didn't sign up only because I have your interview set for 9/16. I'll get you your questions soon. I've read about Tara's book before and it sounds awesome. Holly, I wanted to do something different. Liesel, it was a strong theme in the film. Natalie, and I am looking forward to visiting then! Tara, I can still remember an episode of Star Trek where the character was using a pad like a notebook. When the iPad came out, I thought wow that looks like the Star Trek pad. Alex, I want to see the Conjuring so badly, but I am very susceptible to ghostly stories. Meaning...I will have nightmares. When I go science fiction I just maybe sorta make up my own explanation and use it, techy is not for me. I think teleportation is viable and easy to do, just our brains can't comprehend the easy process yet. Always looking at it the hard way. Pop Travel has such a cool concept. I can't wait to read it! So glad you liked The Conjuring! Funny enough my dad didn't like it AT ALL. He made a good point though. He said it's probably a better film for those who believe in demons, ghosts, etc. He doesn't believe in any of that so he didn't think it was a particularly great film. Not yet purchased Pop travel though I am very intrigued and plan to at some stage. I have written and pre-scheduled my write edit publish entry. Exciting. Lots happening as always. Taking the World by storm sounds exciting. Congrats Alex. Teresa, the computer pads in my series were inspired by those in Star Trek as well. Kitty, your question is hilarious! Pat, someone needs to find that easy way. Samantha, funny he would go see it then. Thanks everyone who's signed up! Love Tara!!! Hugs to her. Just joking...my insanity rarely leaves the house! It's good to know teleporting isn't that far away. As long as there aren't any mixups in the particles, as in that old movie, 'The Fly'. . .1958 version, didn't see the 80s version. Joined the contest and added a question that I'd like to know. Can't miss one of your blogfests, Alex. Congrats to all those authors with new releases and publications! I love the sound of Pop Travel! and congratulations on Suvudu! I'm interested in the answer to how many hours you spend on your laptop as I seem to spend too many hours and I'm not half as productive as you are! Great idea for your book release, Alex. I'll be back with a question. Hi Alex .. what will you do scramble the questions .. so we can't possibly guess the story line and have to buy the book - the whole will be here fairly soon ..
Tara's book looks fascinating .. and all other info - so helpful to one and all .. Pop Travel will be on my To buy list. I love the sound of it. Thanks for reminding me about Moody's story. I forgot about it. I will look it up now. I can totally see teleportation sometime in the not-so-distant future, but only for instigate objects. I'm not sure that I can believe life can be recreated without losing something in translation. it's fascinating to think about though! And it sure would make traveling easier! I feel like anytime I get on an airplane I fantasize about teleportation! Congratulations on the new book Alex! I see I've missed soooo much during the last month! I'd hate teleportation too. It would ruin my career as a travel writer! oooo! thank you so much!! and congrats to mooderino, ella, charles! alex, i may have to change my question, i'll let u b the judge & love this venture! a massive interview! huntress, my guardian angel! thank you!! donna, what a fun fact! see? magic! christine, cant wait to hear your thoughts! suzanne, appreciate your kind words! leisel, yes, most people dont want to be bogged down with the science, except sheldon! bish, i didnt know that about mccoy! Love that teleportation idea... or apparition... whatever. I want that skill. 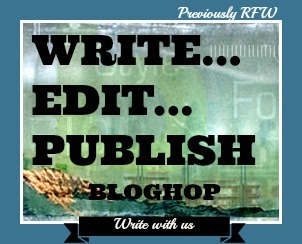 Signed up for the blogfest! Good stuff here, Alex! I never thought about science fiction in that manner: if there is even a slim chance it could work, it is viable. Good enough. Vote, checked. Signing up, checked. I think that's a very nice and original idea by the way. I'll be thrilled to be part of the release party. I might pass on the IWSG this month, though. I'm not sure yet. Ironically, I have insecurities by the sackful this time but I can't find a single one I can make of public domain. Pop Travel sounds good! I've seen it all over the blogosphere. I think I might need to see The Conjuring, but I'll have to go by myself. Everyone I know hates scary movies. 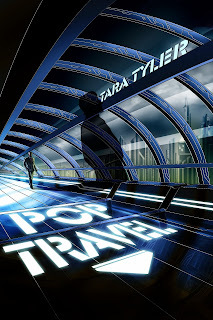 Pop Travel sounds like a good read...but you'll never catch me standing in a teleportation booth. I'd like my particles to stay right where they are. So teleportation would be like "control-X" then "control-V"! Tara, I hope your book becomes very pop-ular! Alex, congrats on your blog post! I'll have to think of a good question for you. Also, don't forget you have an interview on my blog for October 28. JA, that's good to know. Hilary, scrambling would really make it interesting, wouldn't it? Rachna, you'll find out next month. Johanna, just glad you're back. Tara, if you need to change it, no problem! Robin, glad you are with us for the IWSG!! Al, if you can't post, it's cool. And thanks to everyone who has signed up! Yes, I'm all signed up and off to check out Pop Travel! Congrats on the final book almost being released! I've been avoiding The COnjuring because i really despise the Warrens in real life (i really can't stand them) but it's been getting great reviews. Of course, it's not like i have the time anyway. AND! I got CassaStorm in the mail and put it on the top of my TBR pile! This might be an off week for me regarding IWSG. I've got to make sure my kindle library had Pop Travel. Tara is so wonderful and I can't wait to read it. Congrats on your posts and can't wait to be a part of the support for your next book launching into the world. Congrats on the big day arriving so soon! You might have left out a word on your button though. I'll be excited to get the final (so far) installment of the series. The cover for pop travel is awesome! Tara, I like your take on teleportation....Wonka-vision, for the win! Congrats on the SUVUDU acceptance and I'd be happy to help you promote the new book. Putting it on my 'to do' list right now. Of course I'll help Alex! Tara's book was really good! I'm in for anything you need for book 3! I promise! Sooooo excited for CassaStorm, Alex!!!! Such an accomplishment! And I LOVE all of the questions. What a brilliant idea! Of course I'll help with the release. I really want to see The Conjuring. Congrats again on your book Tara. That Nova video you cited has my mind going. With the theory in the Nova video, doesn't it seem almost like a case for cloning, too? I was left wondering if the particles have to be destroyed in the first place, or just copied, since it is actually reconstruction that happens on the other side. Thanks for sharing lots of great things Alex and congrats to so many who have been published recently. So I signed up for your LAUNCH extraordinaire and will post on 9/16. I did follow Mark's Superhero series in April. I loved it and met so many heroes I'd never known about before. I really enjoyed Mark's A to Z. Ready for A to Z.
I will have to be brave and go see The Conjuring. Good quote by the way and so true. Thanks for the mention for AFO. I love that as long as it sounds convincing, you can do anything you want with sci-fi. Can't wait to read Pop Travel. Yah, I was reading about transporters and there are those who feel it couldn't happen. Oh well, it's like you said, so long as it's possible and well written, who cares. The technology will catch up with the *magic*. I wondered about the conjuring. Thanks for the review of it. :-) I like that--depends upon who you choose to follow. Amen. Congrats to our blogger friends accomplishments! I won't be able to do the IWSG this month as I have a guest. But I will be reading the others! Sandra, won't forget! I actually have the interview done and will send in September when I have purchase links. Rusty, it's definitely the last of the series and maybe the last book period. Thanks everyone - wow, are there a lot of questions!!! With your final book set to launch as in head to outer space, I do wonder where you find the time to write a book, Alex. And lots of links on here. How exciting! I will definitely spread the word. And I hope my question gets answered! My post is ready to go. You're getting one of my religion of writing posts. gwen, i'm excited that youre excited! elizabeth/reilly, id love to live to see it! teresa, that show was a techie frontier! david, im your fan too! cant wait for your release! samantha, i am looking fotward to you reading it too! madeline, in the mean time, you can enter the giveaway at my place for a free one! elizabeth s, you are such a sweetie! hugs back! dg, i know! the fly! ew! emily, lets plan an author getaway in paris b4 then! hillary, you are a sweet lady! thanks! rachna, thanks! and you can enter my giveaway too! johanna, dread of flying process was an instigator of the book! sean, teleportation should make it easier, people will still drive! I'm excited for you and all the others, Alex. So many break-throughs in the world of literature. Tara's book sounds frighteningly believable. I agree that Ella is incredibly creative, and a beautiful poet (and person). Excited for Tara and her book. Woot! Heard about Pop Travel somewhere else and am definitely intrigued. Don't do ghost stories, no matter what the ending. Just not my thing. Thankfully I watch everything on DVR and fast forward through all commercials. If I ever catch a commercial for The Conjuring off guard, I close my eyes and plug up my ears like a big baby. There's no way I'm going to see it, lol. Lots going on. Congrats to all. Your review of 'The Conjuring' sounds as though it might be better than the previews. I might have to check it out as a rental. Ready for the IWSG, I think, and signed up for your new release. hart, i love sci fi! brian, i bet thats what people said about flying too, but i agree! patricia, cant say i would until a few thousand went thru first! jennifer, love it! control B! laura, hope it piques your interest! angela, thanks sweetie! youre a busy b! charles, i know, one step at a time! rusty, thanks, the artist is awesome! mark, thanks! heres to gene wilder! emilyann, the episode goes into detail saying the process of copying destroys the original...so yes cloning - and possibilites for future stories! Congrats to Tara, and Ella! I'm also excited about the soon to be released CassaStorm! Teleportation idea fascinates me, but hearing that there is a "slim chance" that teleportation might be a real deal actually creeps me out - makes me think of the movie "Fly", gah! Glad to hear The Conjuring was pretty good. I've heard such mixed reviews on it--most negative--even though it looks like a great horror movie. Julie, as in you hope to come up with one? Funny! Tina, you can email me your question. Angela, you asked a question - that's a big help! Cherie, it harkens back to those classic ghost stories. Got Tara's book Saturday and so glad she got to be a guest and chat. Glad The Conjuring was good and posted my question on the sign up. Pacific Rimm left Jamaica before I could see it but I did watch Surfs 2 and will catch Elysium. My pockets make it impossible to see most films opening week and my Smurf 2 money was supposed to be Pacific Rimm money (darn it!). Your book cover looks great! I've got you down for September 30 on my blog. I think we talked about an interview - I'll email you about it. Very cool. I'm all signed up and awaiting your email! ellie, i cant wait for you to read it too! thanks! candilynn, thanks, crazy spooky girl! sia, if we can dream it, we can do it! right? mary, your excitement is contagious, thanks! tina, intrigued is good! thanks! angela, i know! the fly! eww! cherie, thank you, that means a lot from a pro like you! carol, i love that! see how similar magic & technology are! Sheena, looking forward to hearing your thoughts, youve been so supportive, i hope it doesnt disappoint! I love the idea of pop travel, as in, "I'm just going to pop over there..." Congrats, Tara! And how wonderful for you, Alex, that you're featured on Suvudu! So as you invited I'll pop over there. Since no gore messes up The Conjuring I might see it after all. Ghosts can really freak me out, especially when you know they're around but can't see them. Awesome Ninja News! I still have to buy Pop Travel yet; it's definitely on my to-be-read list. I haven't seen The Conjuring. I'm not fond of horror films because they scare me and I end up having nightmares. All signed up for your release! Great post by Tara! Really excited to read her book. And I can't go see The Conjuring cause... well, I'm a wimp! Very exciting, Alex. Hope you have a fantastic release day and mega sales. One of the stars of The Conjuring said she still wakes up at the same time as the haunting every night. Creepy! Wow! Tara's cover is A-mazing! My older son thinks I can teleport. He doesn't believe me when I tell him I can't. My husband LOVED the Conjuring. I'm so excited for you! The release date is so close!!!! I think it was last Monday I clicked on the SUVUDU icon and found that great site. Still don't know what the letters stand for, but wow!!! Congratulations!!! Karen, yes we did! Looking forward to it. Thanks, Livia! The Conjuring would give you nightmares for sure. Susan, just roll with it. Words, no idea what the letters mean either! I wish I could do an IWSG post this month; I'm feeling very insecure about writing as a 14 year-old girl. I'll check in and comment though. Looking forward to your CassaStorm blog hop as well. Congrats to everyone on their good news! Pop Travel sounds awesome. Love the premise of the story. Congrats, Tara Tyler. Signed up to share about the release of CassaStorm, Alex. Thanks for all the support you've given me in the past. I'm happy to post about your new book. Not in it for the prizes. Hey Alex, thanks for the mention! CassaStorm is going to take the blogger and greater world by storm. Tara's book sounds great! Seeing it everywhere! I like scary movies, but can't watch anything like The Conjuring. So relieved it has a happy ending! Now the previews won't freak me out so much. I've entered! This is going to be fun, but not as much fun as actually reading your book. I am going to rent the movie when it comes out. Sounds kind of like The Woman in Black. I don't like horror movies, but I do like the kind of ghost stories so long as they aren't so terrifying I can't watch them. What a fun way to do a blog tour! I love it. Congratulations on the up coming book release and the front page shout out. Both honors well-deserved. Wow, Pop Travel sounds really good. Great cover too! Way to go, Tara! Congratulations to Charles on landing in the Quarterly! It's a lovely market. And Alex, I agree with you about the ending of The Conjuring. It earned how it panned out. I think if they'd lost ___ or ___, it would have felt cheaper or less worth the struggle everyone went through. I hope teleportation is possible because it would really help my commute one day. Great review of The Conjuring...I really want to see it. Looks like you've got a lot of questions to answer. Good luck! Lots of exciting stuff coming your way! I'm looking forward to seeing the big launch!! I will be getting Pop Travel as soon as I have enough internet to download it. I would be honored to help with your announcements, I loved the first two books! Great concept for your blog tour, Alex! I'm all signed up. Yay for Tara! She's one of the sweetest bloggers I know. Chris, sounds like you need one. Lynn, thank you! Do anything I can for a friend. Jack, thanks, and the film is similar in feel, only better. John, exactly. I hate how horror movies always have to end badly these days. Michael, a scary long list of questions! Thanks everyone who has signed up - you guys rock! Thanks for showcasing Tara here. I love her blog and we're even Fb friends LOL. I agree 100% with your review of "The Conjuring". I saw it Thursday. I normally do not see those types of movie because they're a dime a dozen and always cliched but this one was amazing. The reviews sold me so I had to see it. The Conjuring sounds like my type of horror (I like happy endings). That quote says it all too - really like it. Alex, Congrats on the third book launch. I'm truly happy for you. The Conjuring looks like a movie my family would like. I, on the other hand, am not impressed by these paranormal movies. Thank you for sharing all that you do with us fellow bloogers. You are an inspiration to all newbies. Yes, I will post about your release on my blog. Yes, I followed Mark's Left And Write blog during A to Z, and my daughter has seen The Conjuring. She, like your wife, was scared to death! I'm also checking out Denise Covey's blog hop, and appreciate all you put in YOUR blog! I'm ready for IWSG tomorrow! I've heard many good things about 'The Conjuring.' If I can't talk Mrs. Penwasser into seeing it, I may go the 'Creepy Guy Who Can't Talk Anyone Into Going To the Movies With Him and Ends Up Sitting By Himself' route. Didn't have to share my popcorn. I tend to avoid scary movies like that- read too many Stephen King books in my childhood, I guess. I have always wanted to teleport- so Pop Travel sounds fascinating! Glad the Conjuring was good! Alex, Moody is an Asian man and not a woman. I'm thinking of a question to ask for CassaStorm even as I type this. I think I missed about as much of the Conjuring as your wife did. They are just not my kind of movies, but I had to go to it because my friend Melissa always wants to watch scary movies when I'm in town. Optimistic, it stood out in a crowded field, that's for sure. Lisa, cool, and doing my best. Al, guarantee no one will bother you. Michael, the article said she, so I said she. Looks like your blogfest will be a smashing success! Great idea! "In science fiction, we just need that slim chance and plausibility." This is why I prefer to consider my writing Science Fantasy... Or maybe Grounded Fantasy. Much congratulations to you on your THIRD book! What an achievement! Great idea, Alex! I added my question. Ads by coupons drop down are showing above and below your comment box. Congrats to all my blogger buddies and their achievements .... WHOOT! Alex, that's great news! How cool! I'll have to think of some fun question.. In Time .... LOL. As a child I loved movies about time warp! Gail, crap! I don't see them. livia, enter the giveaways, each month for 5 more! leigh, thanks & im a wimp too! cate, i love that quote too! susan, thank you, the artist really captured the mood! chris, driving is a waste of time! i am in the car too much! must put book to audio for ancy drivers! michael, oh those dreaded commutes! Pop Travel sounds amazing. I am definitely going to check it out. And I'd love to host one of the CassaStorm days. Can't wait to see the answers to all those questions. rhonda, im so sorry u are w/o internet! hope u are up soon! mish, you are so sweet, too! thanks!! keith, thanks, dude! love your thot provoking posts! Sooo much going on in today's post! :D Great guest spot, Tara, and good luck with the story! Incredibly psyched for Moody! No way I'm missing this month's IWSG with Melissa and MP running the show! marta, it is a great quote, isnt it! pk, great! there are so many things we can do with it! david, science fantasy is a great term! carrie, we will get together one of these days! thanks! leovi, lets do the time warp again! and alex, it took me 2 days just to respond. whew!! thanks, big guy! I am in for Tara's book, it sounds like a good story with plenty of futuristic action. Doubt I will be seeing the Conjuring...my wife wouldn't even enter the theatre. And movies along the lines of the Exorcist that are based on a true story are just plain chilling to me. Can't wait for the Storm to hit!! That's a lot of great questions! Wow and thanks for mentioning the Authors for Oklahoma! I'll be posting about CassaStorm, of course! And I saw The Conjuring. I don't normally get frightened in scsry movies at all but this one was definitely creepy. Well acted, well cast, great director. Can't ask for more than that. This sounds awesome, Alex! And I'm glad you mentioned it on the IWSG post or I would have missed it! Stupid broken computer, I'm missing too many things by not being able to be on as much! I just realized I have two questions. They can be combined. What a cool promotional idea? Can't wait to read the responses. Alex, I am so super excited for you! I ran through the questions and every asked what I would ask already...so I'm going to think on it and come back when I have something fresh!! I would love to help out! Just tell me how! EJ, thanks - unique enough. Thanks, Jai - and yes, everything about it was done well. Mark - you? Serious? Doubt that! Randi, I bet you can! Kchawke, thanks - just sign up! You got my vote on Suvudu. great news about the third book, alex! and good luck with the music!! Woot woot, fun times! :) I signed up!